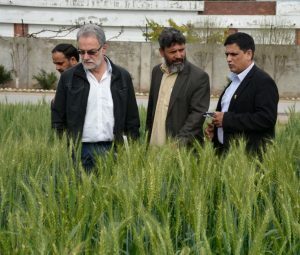 Hans-Joachim Braun (left, white shirt), director of the global wheat program at CIMMYT, Maqsood Qamar (center), wheat breeder at Pakistan’s National Agricultural Research Center, Islamabad, and Muhammad Imtiaz (right), CIMMYT wheat improvement specialist and Pakistan country representative, discussing seed production of Zincol. 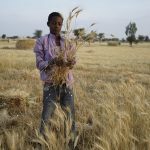 Photo: Kashif Syed/CIMMYT. 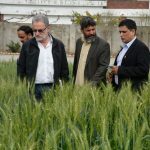 ISLAMABAD, Pakistan (June 30, 2017) – Farmers in Pakistan are eagerly adopting a nutrient-enhanced wheat variety offering improved food security, higher incomes, health benefits and a delicious taste. 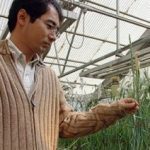 Known as Zincol and released to farmers in 2016, the variety yields harvests as high as other widely grown wheat varieties, but its grain contains 20 percent more zinc, a critical micronutrient missing in the diets of many poor people in South Asia. Due to these benefits and its delicious taste, Zincol was one of the top choices among farmers testing 12 new wheat varieties in 2016. “I would eat twice as many chappatis of Zincol as of other wheat varieties,” said Munib Khan, a farmer in Gujar Khan, Rawalpindi District, Punjab Province, Pakistan, referring to its delicious flavor. Khan has been growing Zincol since its release. In 2017, he planted a large portion of his wheat fields with the seed, as did members of the Gujar Khan Seed Producer Group to which he belongs. 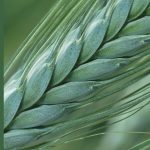 The group is one of 21 seed producer associations established to grow quality seed of new wheat varieties with assistance from the country’s National Rural Support Program (NRSP) in remote areas of Pakistan. 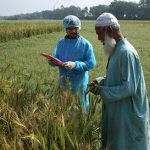 The support program is a key partner in the Pakistan Agricultural Innovation Program (AIP), led by the International Maize and Wheat Improvement Center (CIMMYT) and funded by the U.S. Agency for International Development. 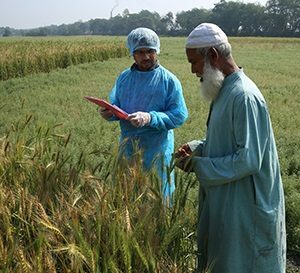 “Over the 2016 and 2017 cropping seasons, 400 tons of seed of Zincol has been shared with farmers, seed companies and promotional partners,” said Imtiaz Muhammad, CIMMYT country representative in Pakistan and a wheat improvement specialist. 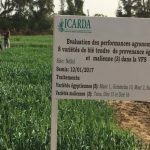 MONTPELLIER, France (June 5, 2017) – The 2017 Olam Prize for Innovation in Food Security was awarded to the “Adapting durum wheat varieties to the Senegal Basin for food security” project led by Filippo Maria Youssef Bassi, durum wheat breeder at the International Center for Agricultural Research in the Dry Area (ICARDA). 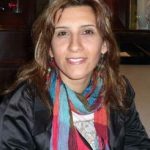 EL BATAN, Mexico (May 30,2017)– In an effort to stamp out hidden hunger, scientists are calling for support to make zinc-biofortification a core trait in the world’s largest wheat breeding program. At least 2 billion people around the world suffer from micronutrient deficiency, or hidden hunger, which is characterized by iron-deficiency anemia, vitamin A and zinc deficiency. Zinc deficiency remains a crucial health issue in sub-Saharan Africa and South Asia. As a key nutrient in red meat, zinc deficiency is prevalent in areas of high cereal and low animal food consumption. 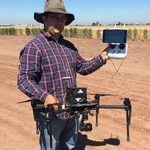 EL BATAN, Mexico (May 17, 2017) – Through a natural, affordable alternative to farmers’ heavy use of nitrogen fertilizers, science now offers an option to boost crop productivity and dramatically reduce greenhouse gas emissions, according to the authors of a report that will appear this week in the journal Plant Science. 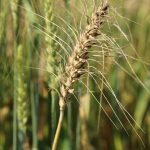 KABUL, Afghanistan (February 17,2017)- Inadequate access to new disease-resistant varieties and short supplies of certified seed are holding back wheat output and contributing to rising food insecurity in Afghanistan, according to more than 50 national and international wheat experts. 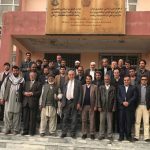 Wheat scientists and policymakers discussed challenges to the country’s most-produced crop during a two-day meeting at Agricultural Research Institute of Afghanistan (ARIA) headquarters in Kabul, as part of the 5th Annual Wheat Researchers’ Workshop in November 2016. 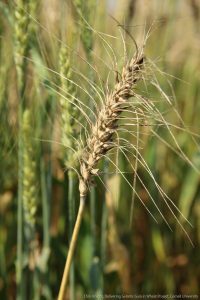 They took stock of constraints to the 2017 winter wheat crop, including dry autumn weather and rapidly-evolving strains of the deadly wheat disease known as yellow rust.